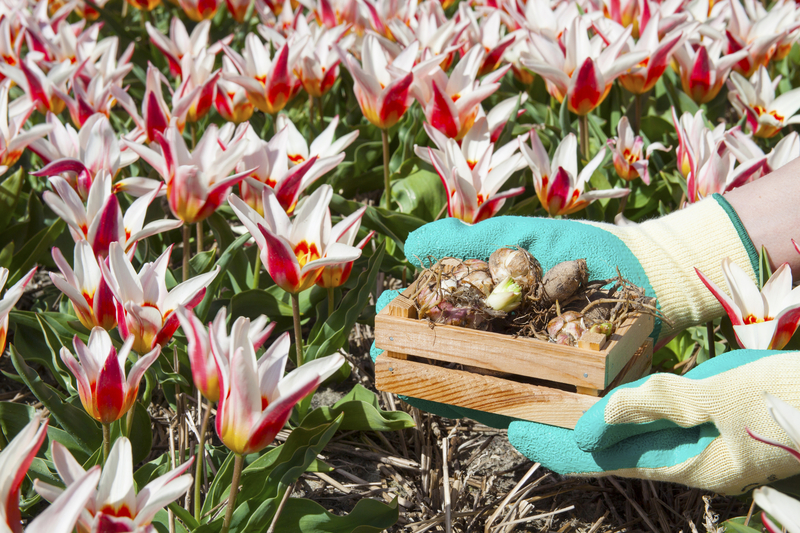 With just the right kind of care, flower bulbs can grow beautifully, without much effort or fuss. In fact, many people prefer bulbs to regular plants because they can store energy from one growing season to another. They are also very self-sufficient in that they do not have to rely on the perfect soil condition to thrive. However, it is still important to learn how to care for them properly, so that they can reach their full potential. Bulbs are usually planted twice a year; during fall and spring. Bulbs planted during the fall season will bloom in the spring. While summer-blooming bulbs are planted in spring, just as the frost from winter begins to clear up. It is important to plant your bulbs at the right time and care for them during the growing and blooming phase, to ensure they look colorful throughout the spring and summer season. Spring bulbs, such as hyacinths, tulips, crocus, daffodils, etc., bloom beautifully in spring, when planted in the fall. After spring their foliage begins to fade, and they go dormant midway into summer. When growing bulbs during this time of the year, it is important to allow the foliage to go yellow naturally, instead of cutting them off before they fade. Also, the quality of care you show to your spring bulbs after they have flowered is just as important as when they begin to bloom. For instance, you should remove the flowers as soon as you notice them start to wither. Otherwise, the bulbs will produce more seeds rather than flowers in the next planting season. Furthermore, if you have a soil that is rich enough, you do not necessarily have to add fertilizers to the soil for planting spring-bloomers. However, if you wish to feed them, do so just as you plant them or the period when they begin to emerge. Ensure that you follow the instructions on the package containing the bulb food for the right fertilizer ration to use. Bulbs that bloom in summer, such as begonia, lily of the valley, etc., usually do not like freezing temperatures because they originate from warm weather areas. Therefore, if you want your bulbs to bloom during summer and you live in a cold climate, you should plant them in spring, when there’s no frost left from the winter season. Many summer-blooming bulbs enjoy soils that are rich. Thus, if you have a poor soil, you should fortify it by applying a general-purpose garden fertilizer. Ensure that you follow the instructions on the fertilizer package, in order to avoid causing damage to your plants. Just as you did with spring blooming bulbs, you can also cut off the bulbs’ flowers as they begin to fade. Cutting of fading flowers will encourage the plants to continue blooming. However, summer bulbs like lilies are an exception because they bloom only once in a year. Bulbs are very easy to care for, especially if you know what they need. If you follow these easy and simple care tips, you are guaranteed to enjoy their colorful blooms in your garden throughout the spring and summer season. For professional help planting and caring for your spring and summer bulbs to add beautiful color to your garden, Contact Levys Lawn & Landscape Today!